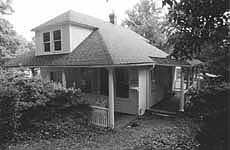 The existing Historic Maywood house appeared as a modest one-story hipped roof cottage, as seen in the "Before" Photo below. The Owner chose to add a new upper floor including two bedrooms and a play area. To satisfy Historic Review the new addition had to maintain a street elevation similar to its original. By raising the roof approximately 3 feet and increasing the rafter pitch, much of the new "Pop-top" addition is hidden within the attic profile. It is revealed only by four hipped dormers. 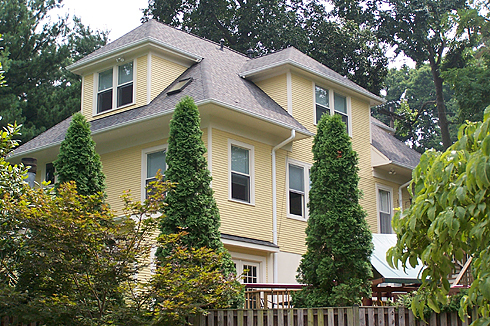 The existing front porch columns were replaced with larger diameter columns, proportional to the new entablature.